Nate Rose is performing live in Cleveland, TN at the newly opened Sound Castle venue. Special guests include Sober, Justice Goodner, and Santino LaBoy. 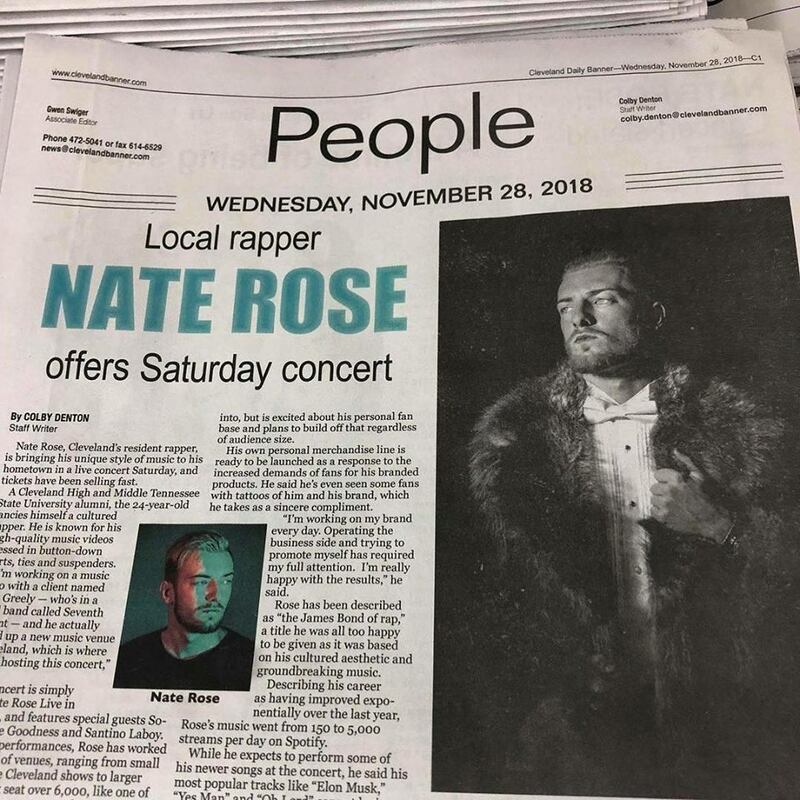 Doors open at 7:00 p.m.
Nate Rose is bringing his unique style of music to his hometown in a live concert Saturday. A Cleveland High and Middle Tennessee State University alumni, the 24-year-old fancies himself a cultured rapper. He is known for his high-quality music videos dressed in button-down shirts, ties and suspenders. The concert is simply called Nate Rose Live in Cleveland, and features special guests Sober, Justice Goodness and Santino Laboy. For past performances, Rose has worked in a variety of venues, ranging from small ones like the Cleveland shows to larger theaters that seat over 6,000, like one of his past performances at the University of Southern Mississippi. Rose expects the energy of the upcoming concert to be highly enthusiastic and will serve as an opportunity for concertgoers to forget their troubles and enjoy themselves. Creating a unique atmosphere not normally found in Cleveland is a major goal. Tickets cost $10 for general admission and $25 for VIP access, however the VIP tickets are nearly sold out.